20 Reasons Why You Should Forgive Others ? Begin Today To Heal You Life! Forgiveness. It’s a big topic, and one most of us don’t delve into. We’d rather keep our anger. I’m talking about myself here. Did you know that forgiveness is a gift you give yourself? It has more to do with you than the person you’re forgiving. 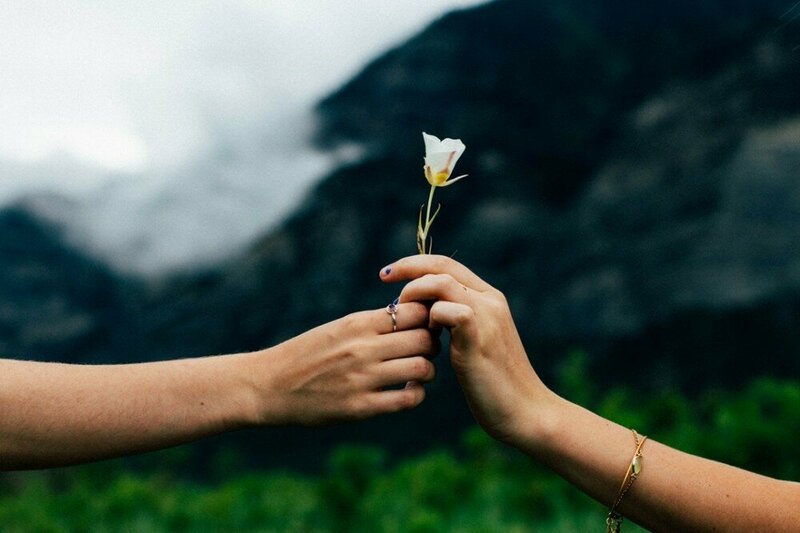 Here are 20 reasons why you should forgive others. When you’re angry, the person you’re mad at has control over your physiology. Did you know that? Forgiving that person frees you from that invisible control. Anger from unforgiveness puts your body in a stress response, wreaking havoc with both your endocrine system and neurotransmitters. From a health perspective forgiveness is absolutely essential. It’s impossible to recover from a deep hurt or injury until you forgive. 1. Forgiveness is enlightened self-interest. Forgiveness frees up physical, mental, and emotional energy that can be put to better use elsewhere. 2. To continually hold onto hurts, grudges, and offenses, robs you of the best possible version of yourself. Unforgiveness is an unflattering way to live, diminishing your potential and ability to truly shine. 3. Forgiveness frees your heart from negative emotions. Who wants a heart filled with negativity? I’m confident none of us would willingly choose this. Open your heart to new ventures and horizons, releasing the past and embracing the future. 4. Forgiveness is not an emotion, but rather a decision. This is good news because we don’t have to feel forgiveness in our hearts in order to forgive. Decide to forgive and then do it. 5. The act of forgiveness leads to self-healing, self-liberation, and the empowerment that follows. Anger, pity, disgust, and contempt deprive you of the emotional, mental, and physical resources you so desperately need for healing and liberation. 6. Forgiveness is the martial arts of consciousness. It’s virtually impossible to raise your consciousness if your mind and heart are resonating with unforgiveness. 7. Forgiveness informs the way you view the world. Do you want your perspective clouded from bitterness or a heart radiating with the joy forgiveness brings? 8. As Ghandi said: “The weak can never forgive. Forgiveness is the attribute of the strong.” A strong character is infused with humility, and the willingness to forgive. 9. Forgiveness has a curative power greater than any medicine. With forgiveness, the ache of remorse is eased, and the wounds of bitterness soothed. The words “I forgive you” heal and set free. 10. Unforgiveness warps your thinking and inhibits your mental stamina. It’s tortuous to be ridden with hateful and unkind thoughts towards another human being. It zaps your precious mental reserves that could be put to much better use. 11. Forgiveness drives away fear. A mind riddled with anger and stubbornness is not a mind at peace. 12. Forgiveness eases the pain of being unloved because it expands not only the capacity to love, but also to receive love. 13. Forgiving another person doesn’t make them right, but it frees you. Forgiveness is the road to freedom. Lovingly releasing the past with all its wounding, enables a future filled with hope, healing, and understanding. 14. Forgiveness fosters gratitude and mindfulness. It’s hard to feel truly grateful when your mind is preoccupied with feelings of hate or even revenge. 15. Forgiveness lead to humility and teachability. Unforgiveness stems from a prideful and willful heart. Surrender leads to humility, and a willingness to learn. The undercurrents of unforgiveness are cynicism and suspicion. Forgiveness breaks the bonds of these negative thinking patterns. 16. Forgiveness acknowledges vulnerability. We forgive because we want to be forgiven, not only from past mistakes, but from future ones as well. We’re all human. We make intentional and unintentional mistakes throughout our lifetimes. What a shame to be held hostage forever for our misdeeds. Extend and receive grace. 17. Conflict is a prison that becomes more dangerous the longer you’re in it. 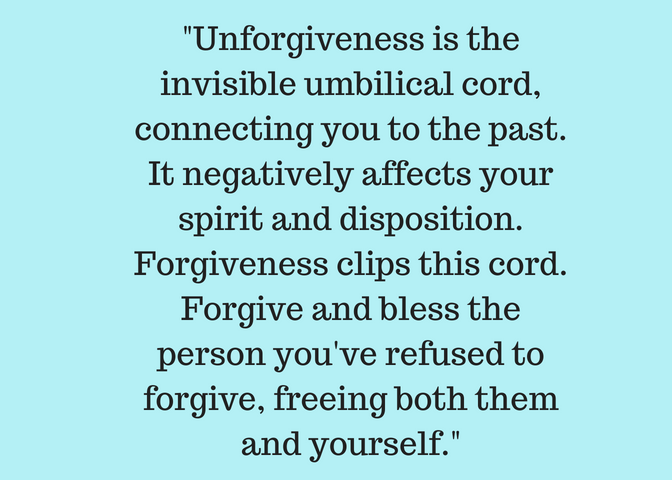 Unforgiveness keeps you entangled in past conflicts. It’s confining and limiting, holding you back from a life more in tune with your authentic nature. 18. Forgiveness infuses the future with hope, while unforgiveness holds it captive by unrelenting feelings of malice and mistrust. Release the past so the future can live. 19. Forgiveness reframes past events, bringing you to the realization that what you remembered happening, may have a different meaning that better reflects reality. This gets into the issue of intent. Many past hurts you endured may not have been intentional, but more a function of your own emotional state or immaturity at the time. Forgiveness corrects long-held distorted perceptions. 20. Forgiveness releases you from making every petty situation a matter of life and death. Make an overarching decision that you won’t make everything a federal case, replacing resentment and arrogance, with patience, and empathy. Extend the understanding to others that you’d like to receive. Here are two great books on healing the hurts we don’t deserve and making peace with your past. Realize the hardest step on the path to forgiveness is the first one. Make the initial decision to forgive, and the journey gets easier. Remember, forgiveness is not a feeling from the heart, but a decision of the will. Practice reframing forgiveness as a gift you give yourself, rather than an act of letting someone else off the hook. Forgiveness is not about forgetting, nor is it about reconciliation. It’s granting yourself permission to move on from resentment and pain. 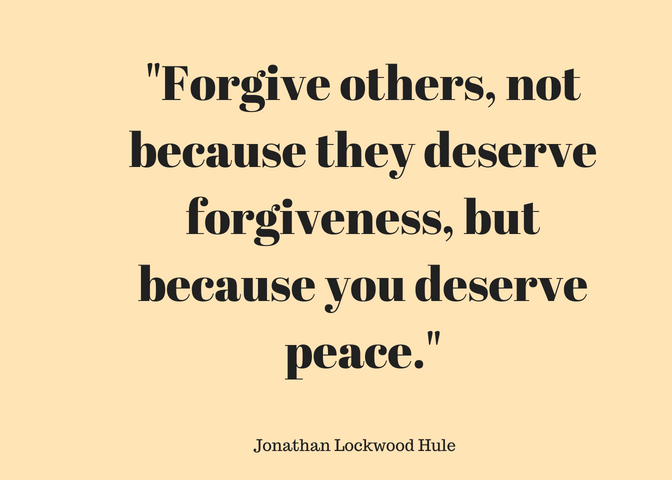 Essentially, forgiveness is your ticket out. Create a brighter future by focusing on the positives in your life, and all the good things that are coming. Don’t let past setbacks and failures rob tomorrow of its hope. The world would be a far better place if love was our priority. At its heart, forgiveness is love. The person you’re holding a grudge against most likely has no clue you’re even mad at them. Their energy isn’t getting zapped from your unforgiveness, but yours most certainly is. Forgive because you value your health on every level. It’s the ultimate gift to yourself. Forgiveness is an act of faith, while unforgiveness is failing to trust in a higher power. God has already forgiven all of us. When we forgive, we are merely extending what has already been offered. Forgiveness breaks the bonds of our self-made shackles. Do you have someone in your life you’re having a hard time forgiving? How would your life be different if you chose to forgive. Please leave your comments below. They help all those reading this post.